Presented by Spike TV’s Frankenfood. Sundays at 10/9c. 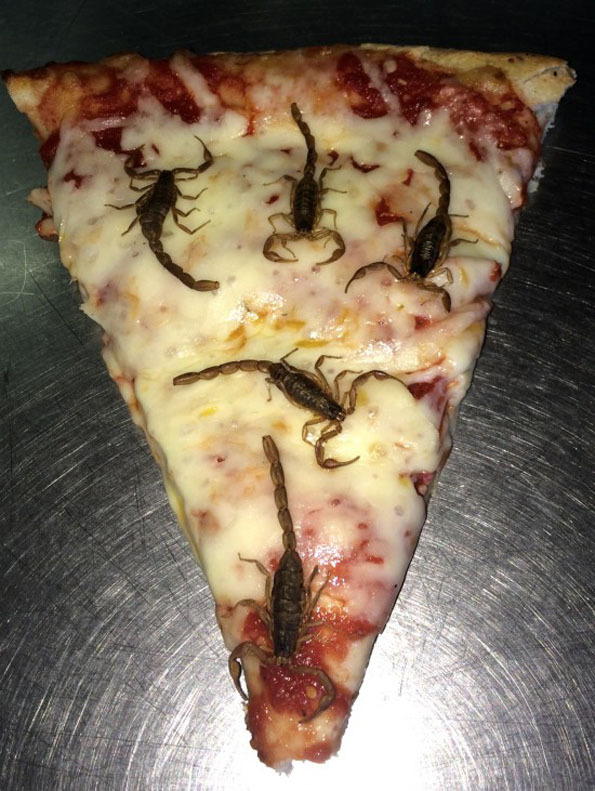 This pizza doesn’t just burn the roof of your mouth, it stings too! 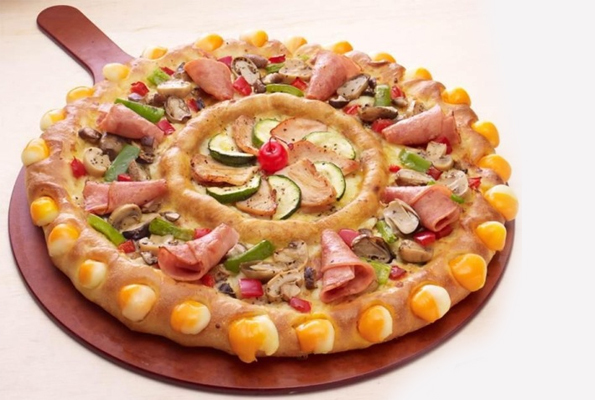 Basically Thanksgiving on a pizza. Topped with smoked turkey, corn souffle, sausage stuffing and cranberry relish. 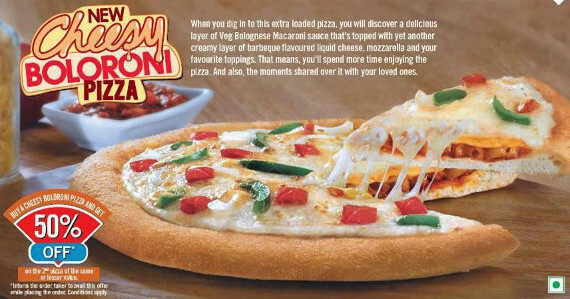 Sounds iffy, but hey, it’s pizza! 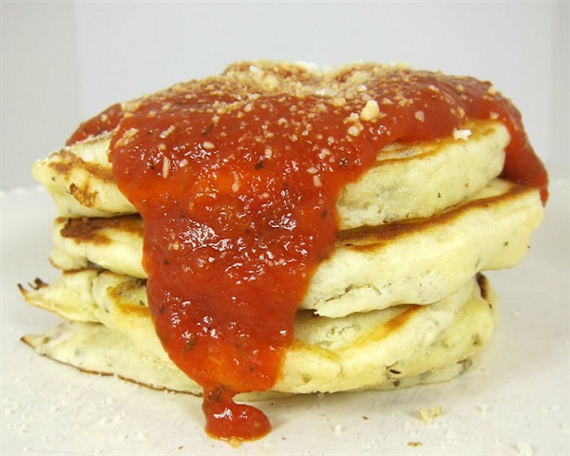 Can’t decide between pasta and pizza? Why not have both?! 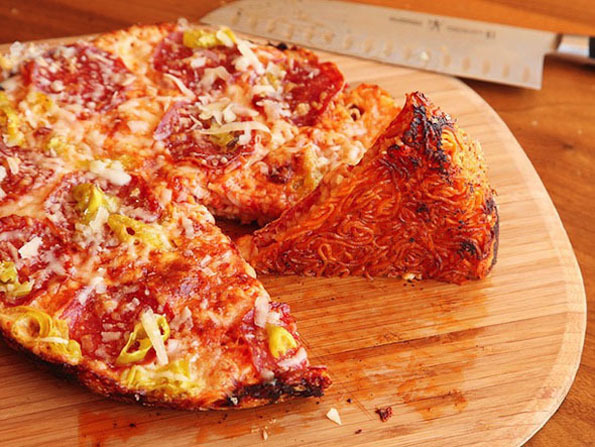 Two college student staples come together for this funky pie. 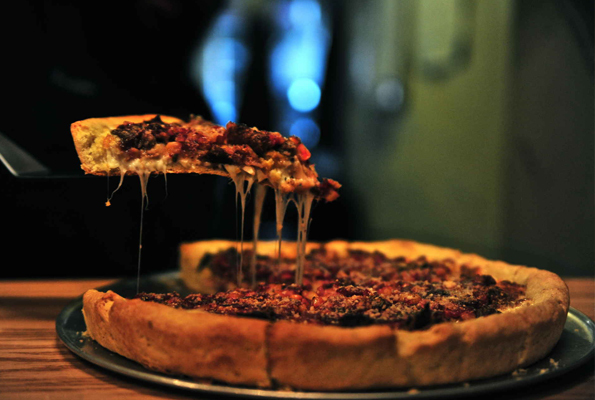 Pizza that you can drink and might even get you a little sauced. 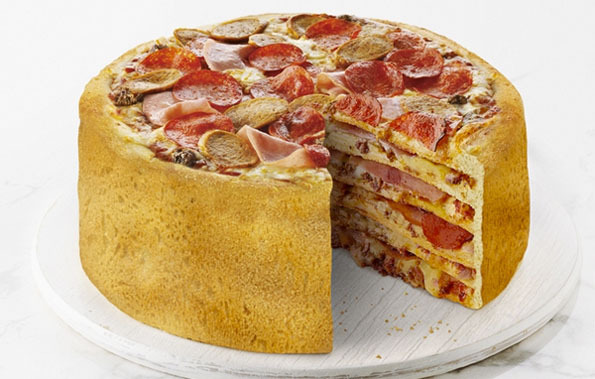 Wait, was that a pizza joke? Maybe! Look! 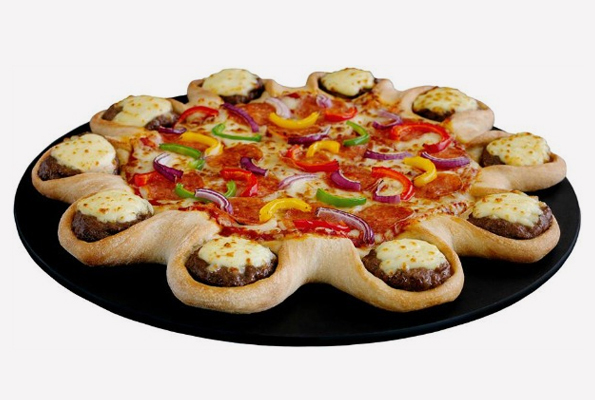 It’s a burger…It’s a pizza… It’s a burger pizza! 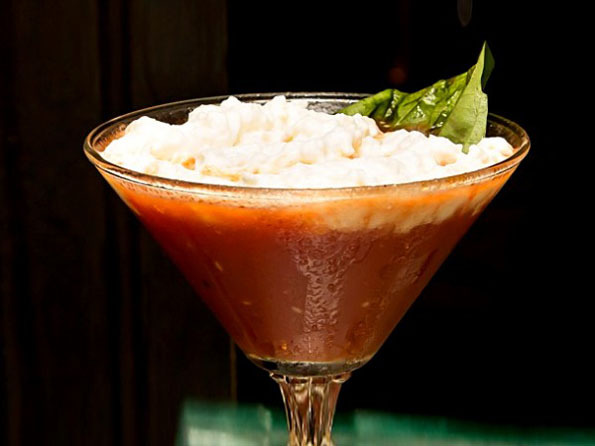 It’s all the fixings of a Friday night in one sip! Efficient. 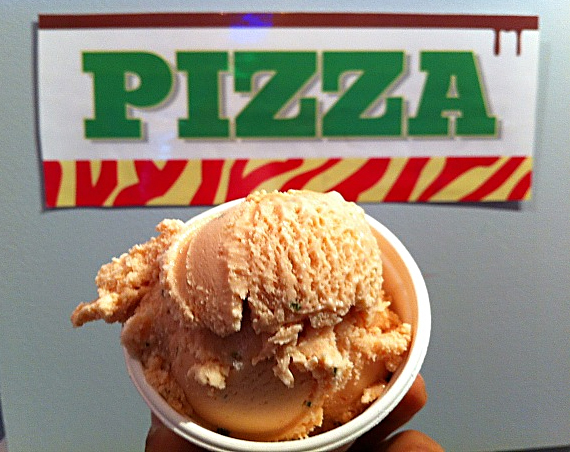 I scream, you scream we all scream for pizza-flavored ice cream! 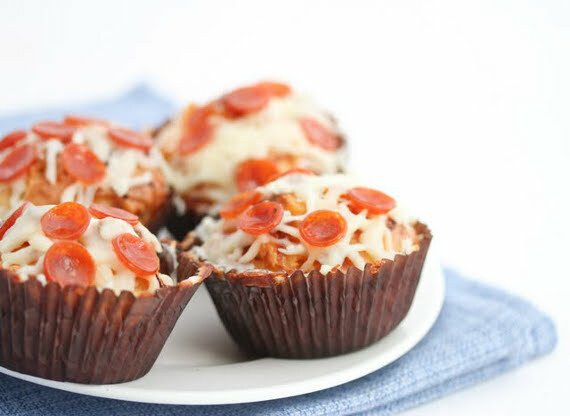 Dinner and dessert in one delicious bite. 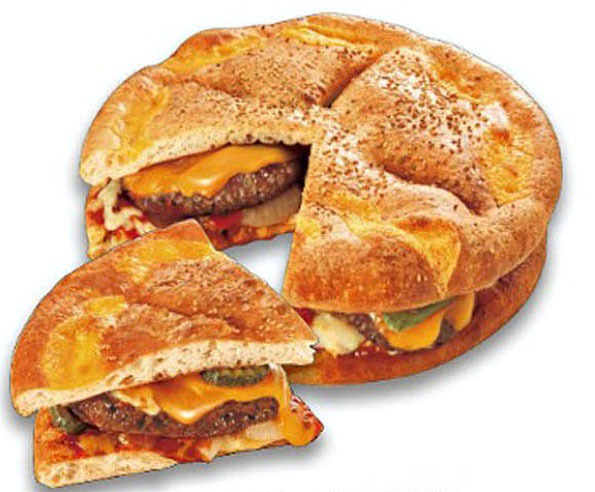 Hi, cheese burger-crusted pizza! Would you kindly get inside my mouth, please? 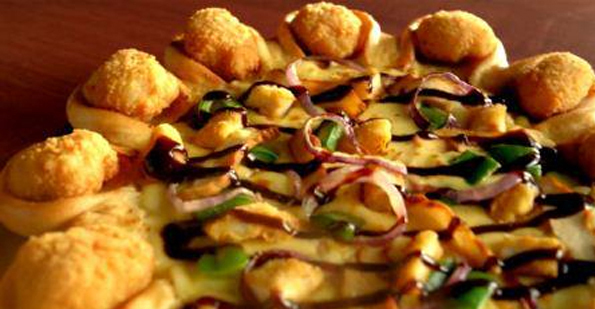 You too, chicken nugget crusted za! You complete me! 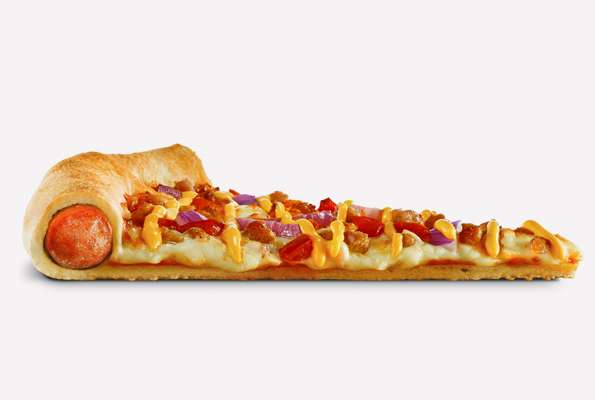 The best way to eat a hot dog is inside of a pizza. With extra mustard. 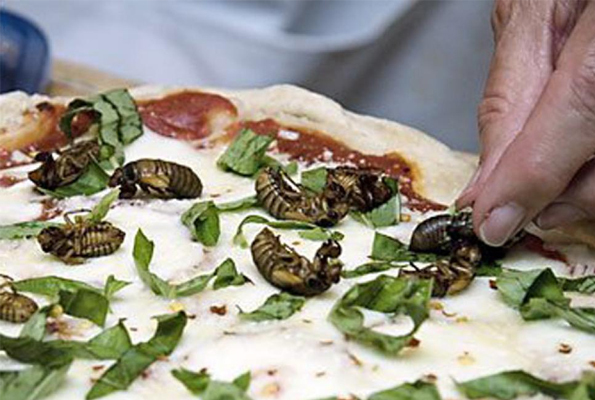 They finally found a use for those annoying noisy bugs: pizza toppings! 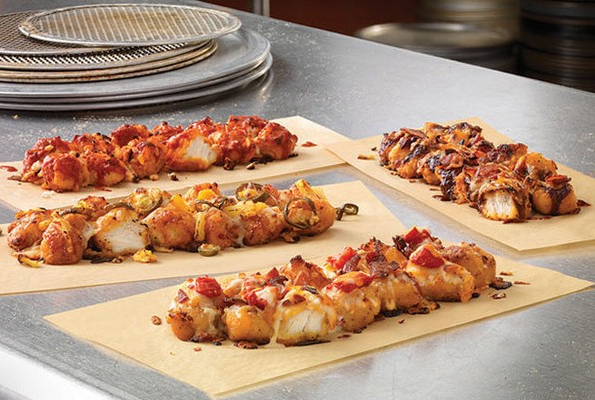 Because who hasn’t dreamed about eating pizza with chopsticks? 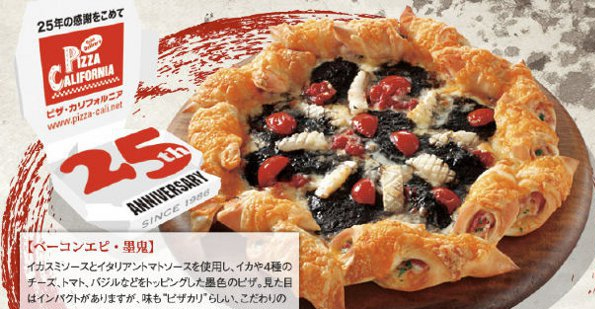 The insanity of this pizza is only matched by how delicious it probably is. 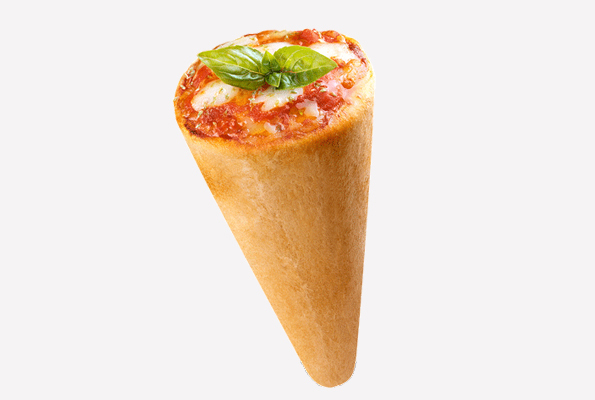 Eating pizza has never been more convenient! 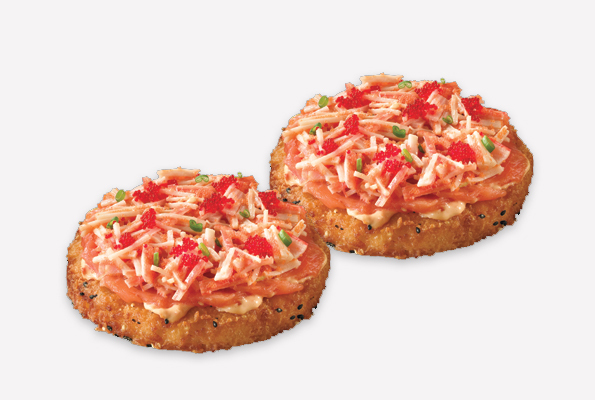 Because comfort food is best served in pairs. 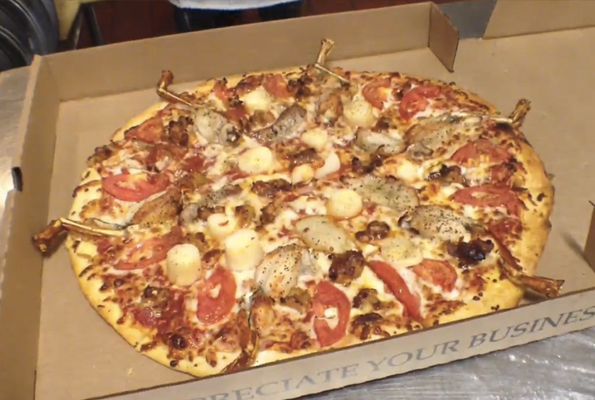 If you’re in the mood for a pizza that will bite you back, this za topped with alligator and pythons should do the trick!